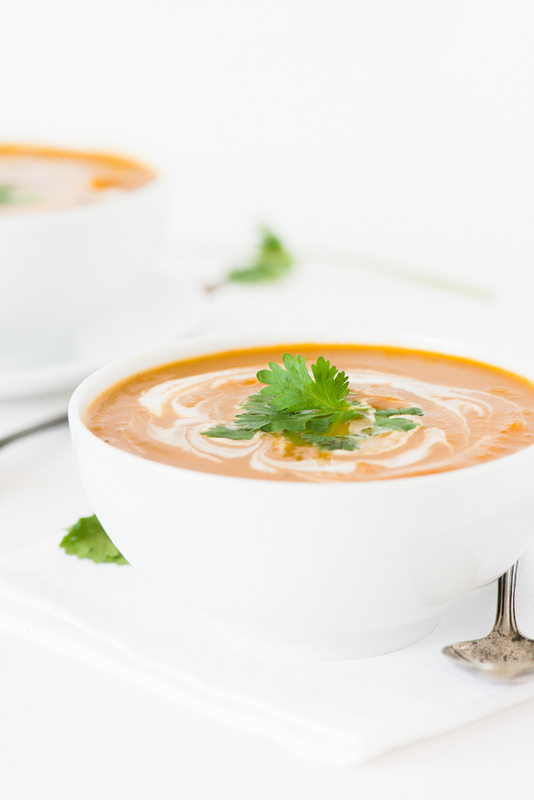 Shhh…don’t tell Shan i’m posting another soup… Another pumpkin + curry combo, at that! While the previous Curry Pumpkin Soup took on flavours of an Indian curry, this ventures into the flavours of Thai cuisine. During our endless journey with pumpkin a few weeks ago, I tirelessly searched Pinterest for the best recipes, and this one immediately caught my eye. It looked amazing, and had my inner food stylist very jealous of that perfect cream swirl action. The recipe is super simple, and I was on my way to (another) delicious pumpkin soup in no time. Shan wasn’t too excited about eating more pumpkin soup, so i had the pleasure of enjoying most of this one. I’ll admit, an adult human can only handle a certain amount of pureed meals before going crazy. The curry paste, complemented by a (very) generous spooning of coconut milk, and plenty of cilantro, gave this soup a warm comfort, with a bit of freshness. The mix of coconut milk into the spicy curry helps mellows everything out, while still letting those spicy flavours linger. Although I didn’t achieve cream swirl perfection, the recipe was great, and I would definitely make it again. 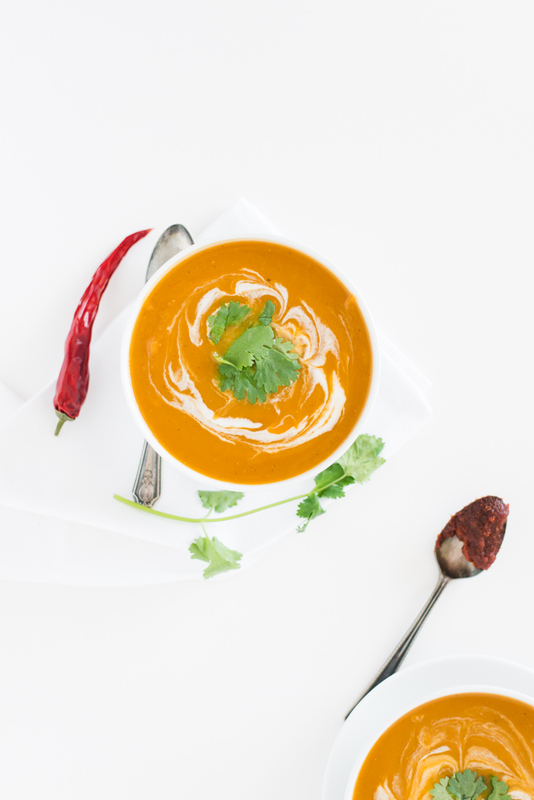 Spicy flavours of Thai red curry paste, mellowed out with fresh cilantro and coconut milk. In a large pot on medium-high heat, add coconut oil. Once melted and heated, add onion, sauteeing for about 5-8 minutes, until translucent and fragrant. Add curry paste, coriander, cumin, and garlic, sauteeing for an additional 2 minutes. Add pumpkin puree and vegetable broth, cooking for an additional 10 minutes. Add lime juice, season to taste, and puree soup with an immersion blender, until smooth. Serve soup with a few generous spoonfuls of coconut milk, and a handful of fresh cilantro.